Everyone has a smartphone these days. That’s why many clubs and associations are switching from paper-printed membership cards (which are a big waste!) to digital membership cards. Wild Apricot, an all-in-one membership management software, offers the ability to do this for free, while also saving you hours and hours of entering member info manually. Step 1) Start a Free Trial of Wild Apricot’s All-In-One Membership Management Software. When you start your free trial, you’ll also create a Wild Apricot website. 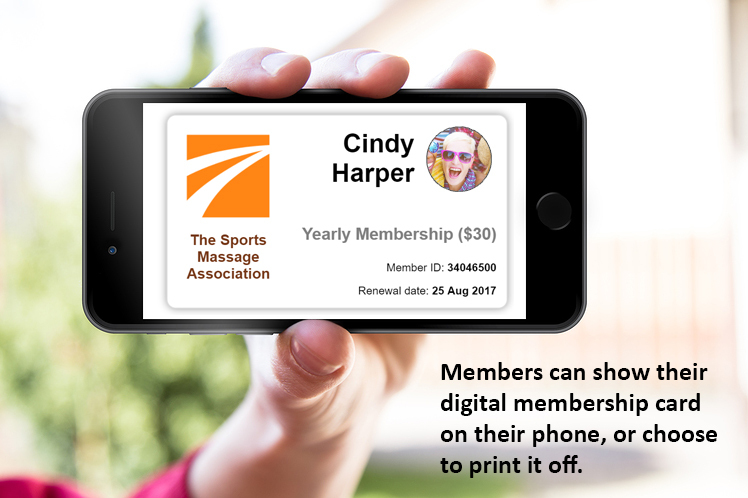 This is where your members can log in and find their digital membership cards. Your members can also choose to print out their cards. Step 2) Save Your Contact Database as an Excel File and Upload It to Wild Apricot. Once you do, Wild Apricot will automatically generate every member’s individual membership card on its own. You won’t need to lift a finger. 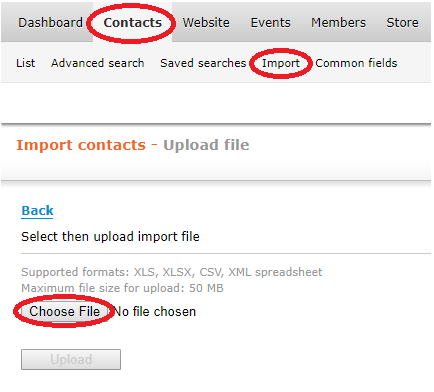 To import your contact database into Wild Apricot, go to Contacts > Import > Choose File. Step 3) Customize Your Membership Card Template. 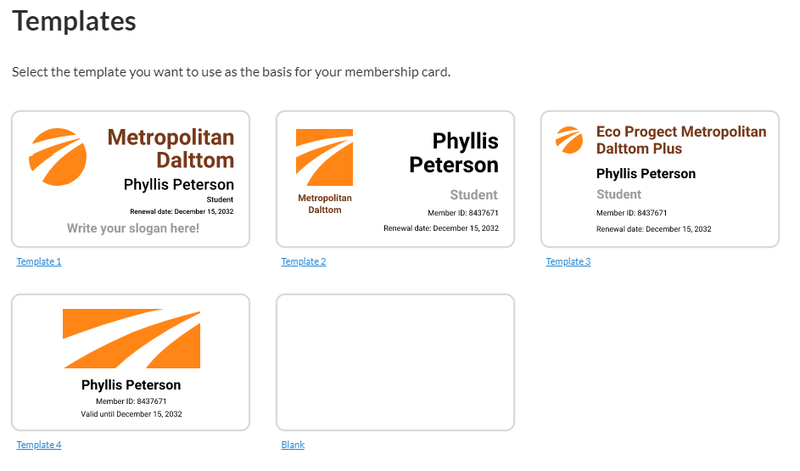 It's very easy to customize the design and information displayed on your membership cards. Simply navigate to Members > Card and click “Start creating card”. Next you’ll come to this screen, where you can choose a pre-existing template (recommended), or design a new template yourself. If you pick a pre-existing template, all your members’ details will be automatically filled in. Step 4) Ask Your Members to Login to Your Wild Apricot Website and Access Their Cards in Their Profile Page. 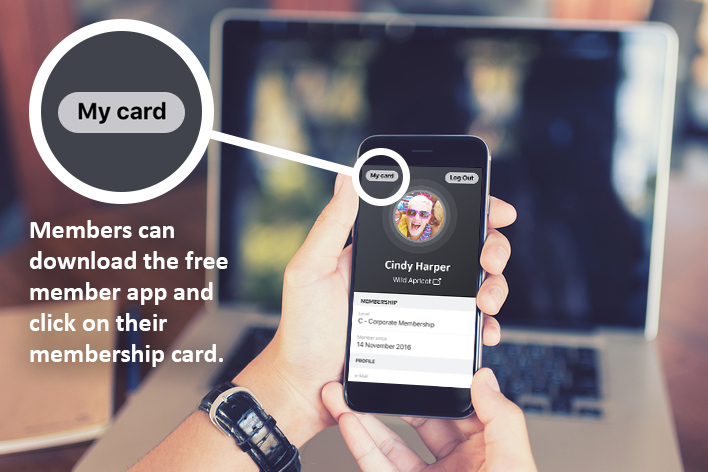 Once you've completed the above steps, your members' cards automatically generate on their own. To get your cards to your members, simply email them a link to your new Wild Apricot website and ask them to login with their email address (you previously imported their emails in Step 2). Since your members will be logging into your Wild Apricot website for the first time, ask them to click “forgot password”, which will generate a new password that will be emailed to them. Now they can login and access their membership cards, which they can display on their phones, or print out. We have also created a member app called, Wild Apricot for Members, which your members can download to access their member card, update their profile, view your full member directory, interact with other members, and more. See here for more information and to download the app for free. *Optional* Step 5) Use Wild Apricot’s Automated Features to Save Time Running Events and More. Wild Apricot offers many more robust and automated features for membership organizations. Website: create and update your website with little-to-no tech experience. Events: easily create and promote lessons, events, and courses, with online registration, attendance tracking, and payment processing. Online Store: sell merchandise like swag and services like courses online. Payments: automate membership renewals, registrations and payments. Database: maintain detailed member and admin records in an easy-to-search and filter online database. Emails: send professional newsletter and email communications. Member Login: allow members to login to your website to access exclusive resources (and their membership cards!). And hundreds of other features. It’s my hope that Wild Apricot’s digital membership cards save you hours of needless file organization and printing. All the best with your managing your members!